$230 No Limit Hold Em Survivor (win $2,000 in cash). A full schedule for this Mega Stack Series is available here. Tom Stevens raises to 150,000 on the button. Soukha Kachittavong pauses for a moment and then announces that he is all in. Stevens quickly calls and says, "Awesome," as he turns over [kh][ks]. Kachittavong shows [ah][jc]. The board runs out [qd][jd][9c][7c][3h], eliminating Kachittavong in 2nd place, and awarding the trophy to Tom Stevens. Action folds to Rob Campion who shoves all in on the button. Tom Stevens calls in the small blind, and Soukha Kachittavong folds in the bit. Campion has the commanding lead holding [kh][ks], against Stevens' [3c][3h]. 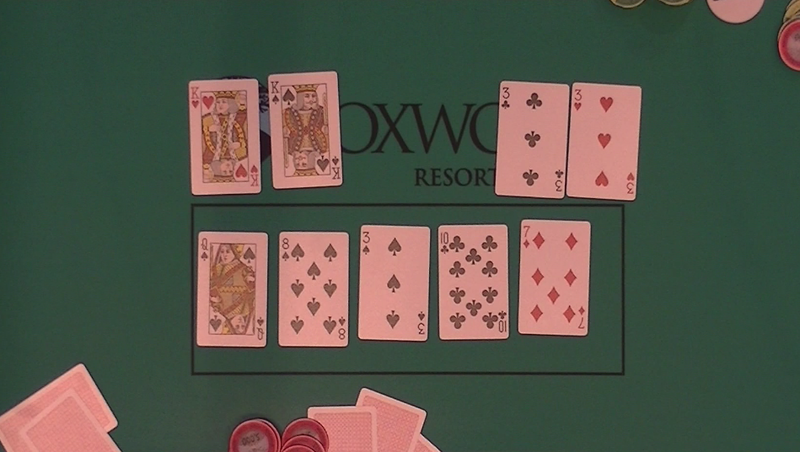 But that all changes when the flop comes [qs][8s][3s], giving Stevens a set. Campion still has hope, if a spade comes on the turn or river. Alas, it's the [10c], and [7d] that comes on the turn and river, eliminating Campion in 3rd place. "Good game mad, there's not much you can do when he is running this hot," Soukha Kachittavong says to Campion as he gathers his belongings. It's now heads up with Stevens (3,900,000) vs. Kachittavong (650,000). 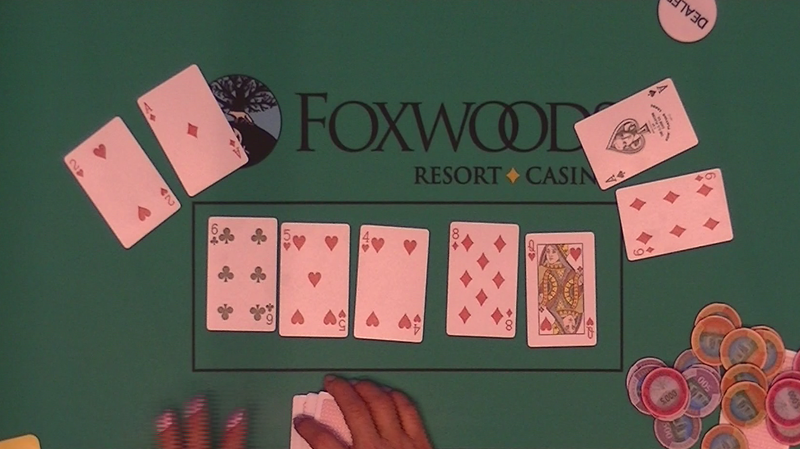 Lou Proietti shoves all in from the cutoff, and Tom Stevens quickly calls in the small blind. The flop looks promising when a queen shows in the window. But as the dealer spreads the cards to reveal [qs][jh][10c], it's a straight for Stevens. 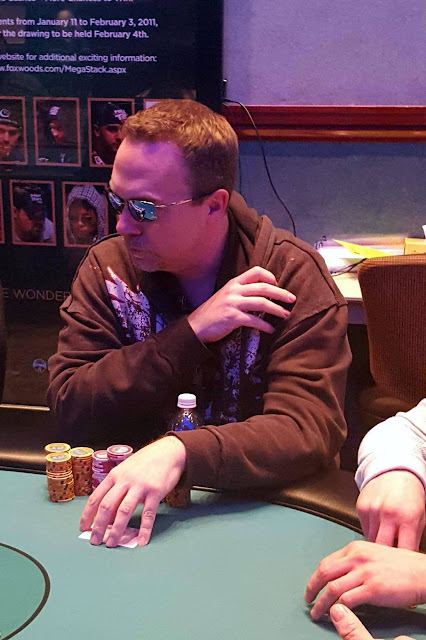 The [5s] turn and [8s] river gives Stevens an even better hand, with a flush, and Proietti is eliminated in 4th place. Tom Stevens shoves all in from the cutoff. 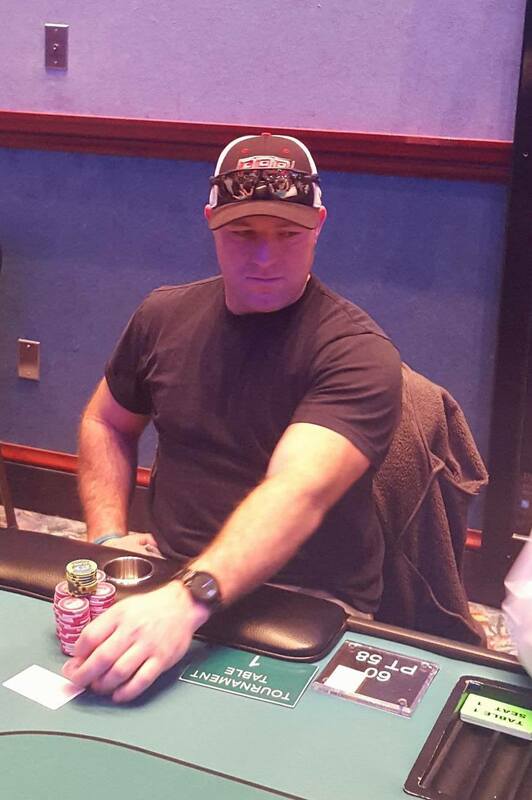 Action folds to Mike Goncalves in the big blind, who calls the all in for less (for a total of 130,000). The board runs out [ah][kd][4h][5c][5d], eliminating Goncalves in 6th place. 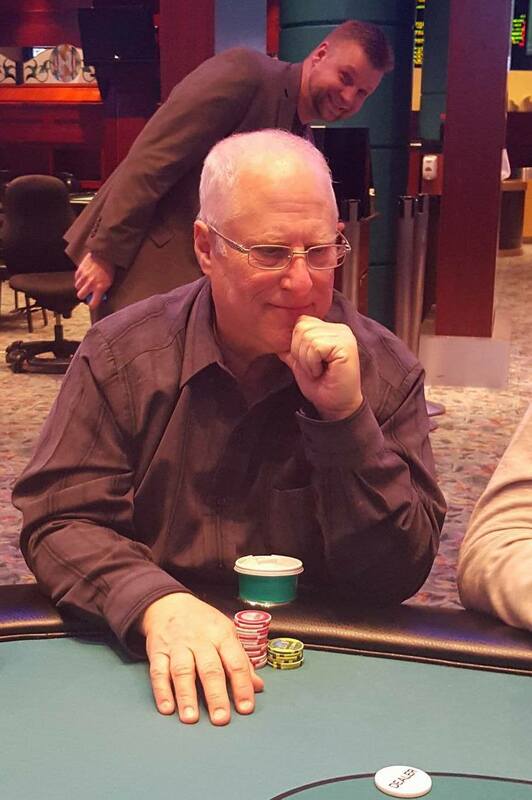 Donald Russell is all in holding [kc][kd] against Lou Proieth's [6d][6s]. The [as][9d][9c] flop is very safe for Russell. But the [6h] on the turn give Proeith a set of sixes. To add insult to injury, the [6c] comes on the river, giving Proeith quads, and eliminating Russell in 8th place. The bubble has broken and there are 15 players remaining in event #10. 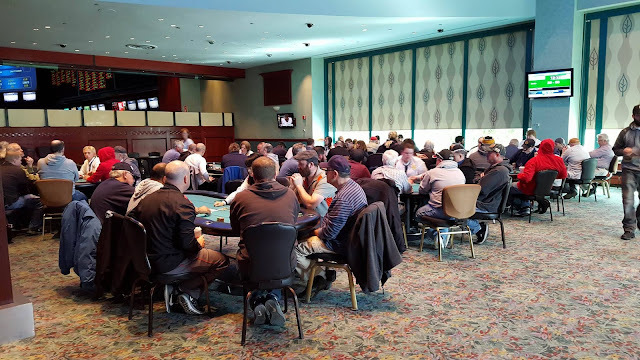 Players are currently playing level 25 (12,000/24,000 blinds with a 4,000 ante). As a reminder, at the beginning of level 26, they will begin 30 minute levels (they are currently playing 20 minute levels). A player in middle position limps in, Robert Campion also limps on the button, and the player in the big blind checks his option. 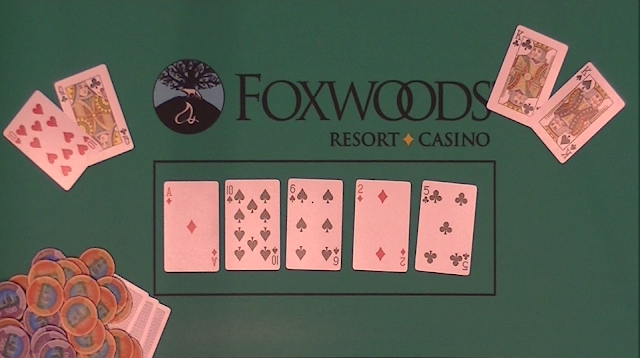 When the flop comes [kd][7d][jc], the player in middle position bets 12,000. Campion then shoves all in, and the player in the big blind shoves all in over the top of him, having both players covered. 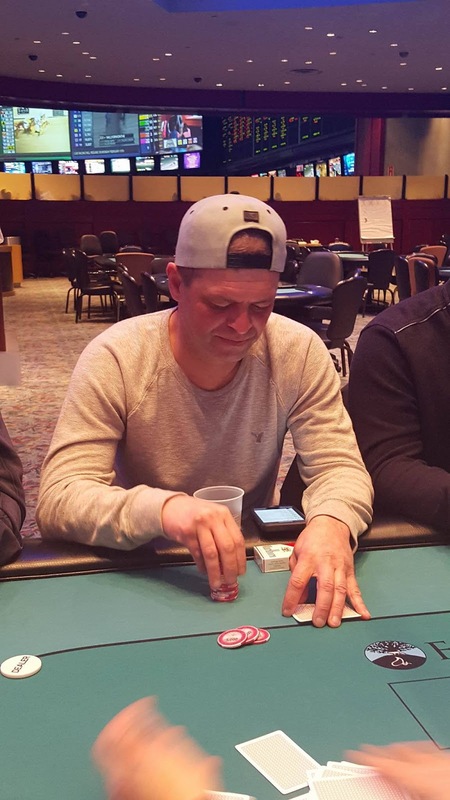 The player in middle position goes into the tank and after a minute of thinking he says, "I can't believe I am throwing this away," as he folds [ad][ac] face up into the middle. 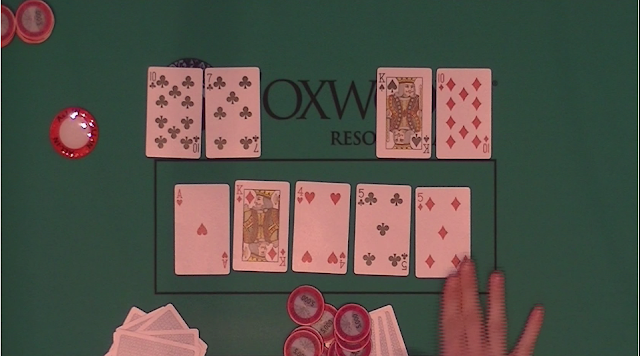 Upon seeing the folded aces Campion says, "That's terrible for me, takes away two of my outs." When the [9c] comes on the turn, giving Campion the straight, he fist pumped, and walked away from the table. The [6d] on the river did not improve his opponent's hand, and Campion is awarded a full double up. He is now sitting with 275,000 in chips. On a board reading [ad][10s][6s], The General is all in holding [kc][ks], and has been called by a player holding [qc][10h]. "Come on, don't do it to me," the General says. Luckily for him, the [2d] turn, and [5c] river do not improve his opponent's hand, and he is awarded a full double up. 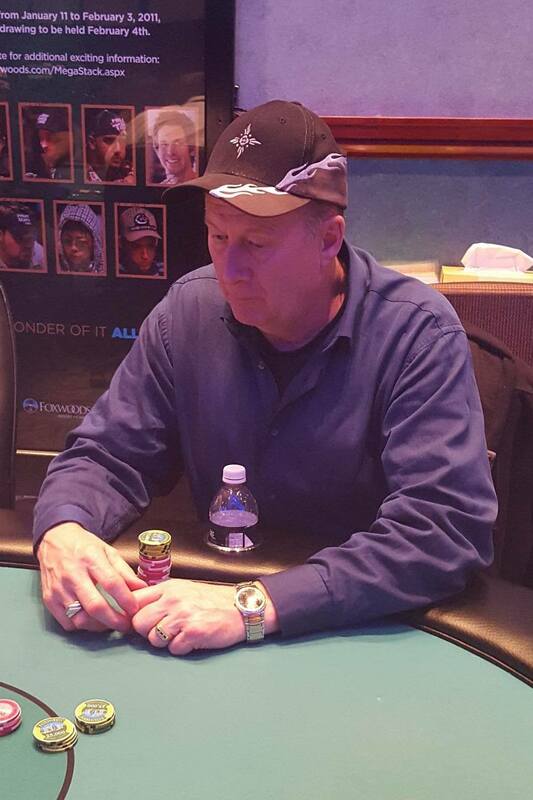 Bruce Peterson got his last ten big blinds in holding [as][6d], and was called by [ad][2h]. The board ran out [6c][5h][4h][8d][qh]. Peterson's pair of sixes would take the pot, and he is now sitting with just a bit over 40,000. On a board reading [7s][5d][2c], a player in the big blind checks, Thomas Stevens bets 20,000 in middle position, and a player in the cutoff calls. With action back on the big blind, he goes into the tank. Over the course of nearly three minutes, he glances back at his cards three times, sits back in his chair, and puts his hands on his head. After another 30 seconds, he announces that he is all in, and moves his stack of 85,000 in chips in front of him. 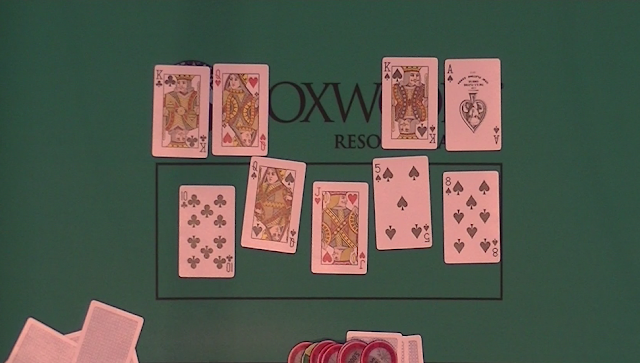 Unfortunately for the player in the big blind, the [5s] turn and [qc] river does not improve his hand, and he is eliminated from play. 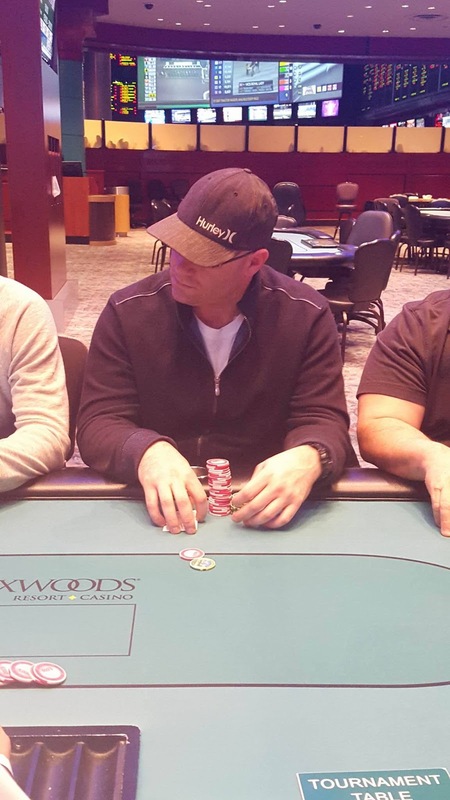 Thomas Stevens is now sitting with one of the larger stacks in the room, holding 315,000. There were a total of 175 entries in today's $300 No Limit Hold Em Big Stack Event. There are 72 players remaining, with 18 making the money. The players will return to play level 16, with 1,500/3,000 blinds, with a 500 ante. Donald Russell raises to 800 from middle position. Action folds to a player on the button who re-raises to 2,500. 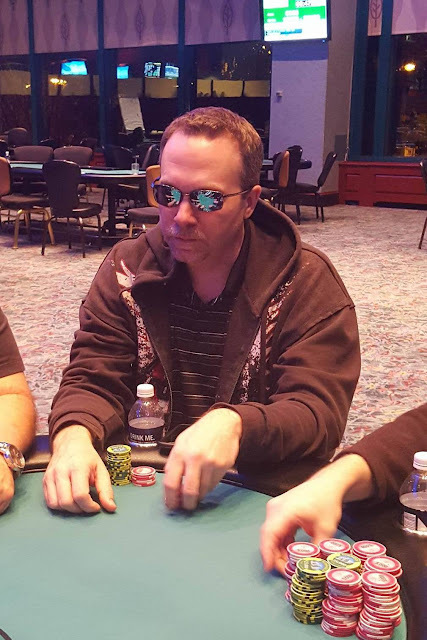 Both blinds fold, and Russell calls the raise. The flop comes [10c][8c][6d]. Russell checks, and the player on the button shoves all in for just under 10,000. Russell quickly calls. 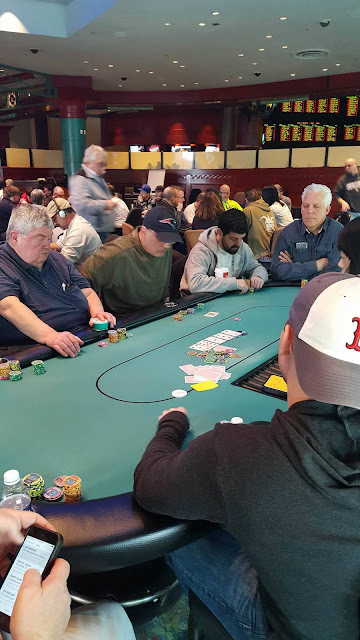 Unfortunately for the player on the button, the [7d] turn, and [6c] river did not improve his hand and he is sent to the rail with the option to rebuy. Russell is now sitting with one of the larger stacks in the room holding around 70,000. 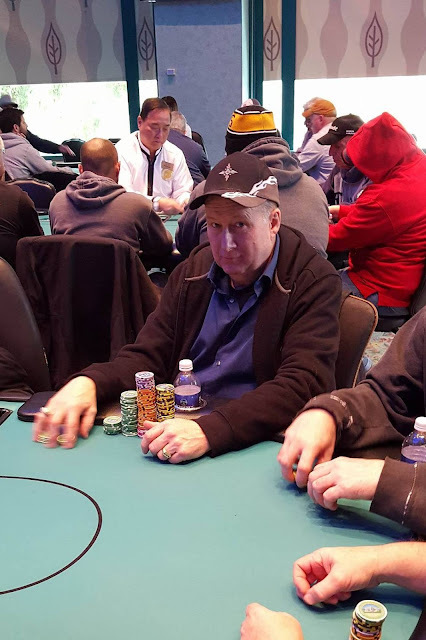 Event #10 ($300 NLH Big Stack) players are now on their first fifteen minute break of the day. When they return they will play level 6, 150/300 blinds, with a 25 ante. There are currently 120 entries in today's event, and anyone wishing to enter/re-enter will have until the start of level 11 to do so. 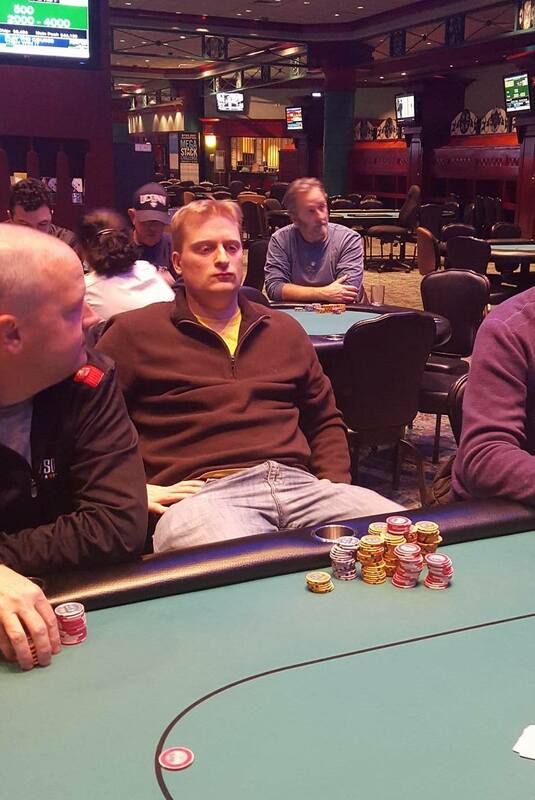 On a board reading [ac][9d][5d], Pasquale checks in middle position, and Brett Johnson bets 1,500 on the button. Jesson calls. Pasquale again check-calls a bet of 2,700 when the [3c] comes on the turn. 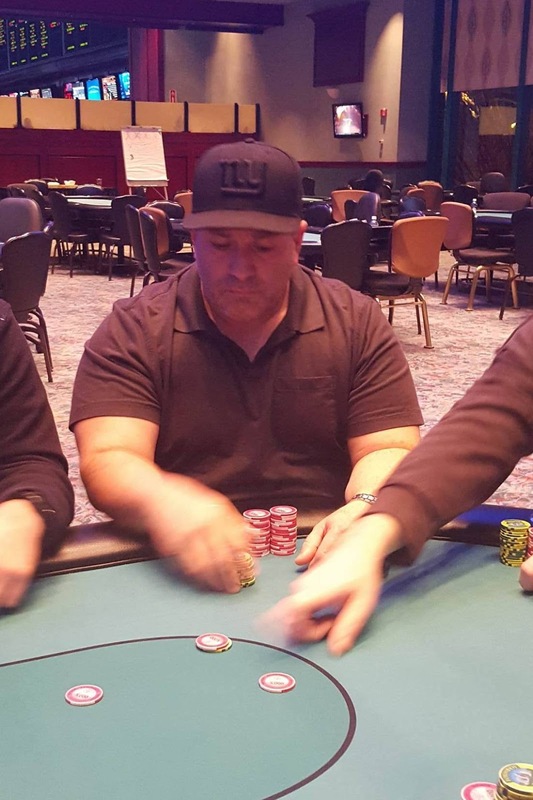 When the river comes the [2s], Pasquale leads out for 5,000 by raising the single red chip high above the table and dropping it into the middle. Johnson goes into the tank. After two minutes of contemplating his decision Johnson hesitantly throws a red chip into the middle to call. "Two pair," Pasquale says as he turns over [2c][5c]. Johnson throws his cards into the muck. Pasquale is now sitting with around 34,000, and Johnson with 16,000. The $300 No Limit Hold Em Big Stack tournament is now under way. This tournament comes with a $25,000 guarantee, 30,000 in chips, and players are allowed to enter and re-enter until the start of level 11. The first 25 levels will be 20 minutes in length, and levels 26+ will be 30 minutes in length. A full structure sheet is available here. 1 Bradley St. Vincent, Bristol, RI $30,500 + $5k Aruba Pkg. 2 Daniel Fairweather, Essex, MA $25,060 + $5k Aruba Pkg. $100 No Limit Hold Em Bounty. 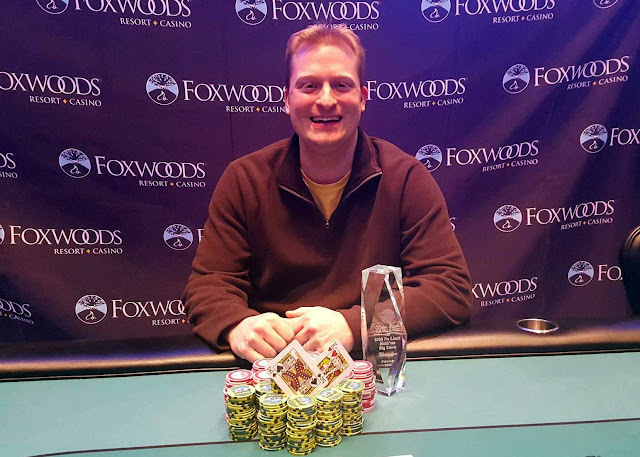 After a chop deal Brad St. Vincent will take home $30,500, the trophy, and the $5,000 PPC Aruba package. 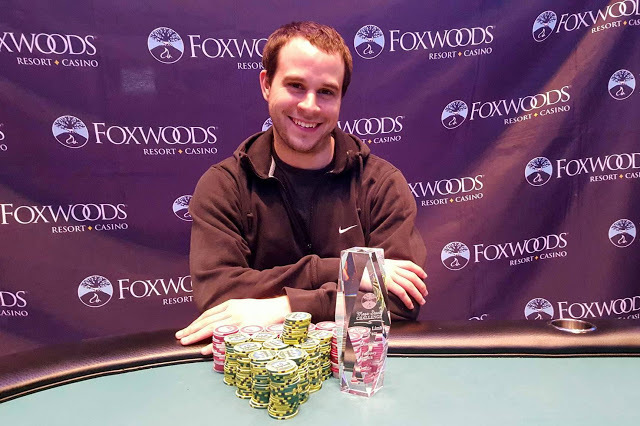 Dan Fairweather will take $25,060, and the second $5,000 PPC Aruba package. Thank you to all that tuned in to the live broadcast.